Like engine building there is an 'art' to setting up a rear end center section. If you don't have the time, knowledge or special tools to assemble your own then let us supply you with one already professionally assembled. 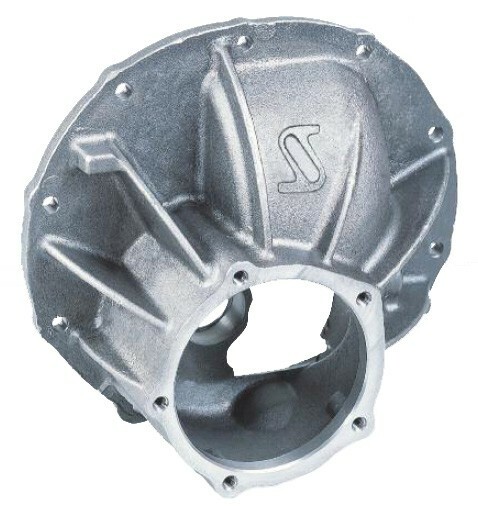 100% brand new parts are used, starting with a nodular iron Strange case. Shipped to you in a transport case for protection and storage. 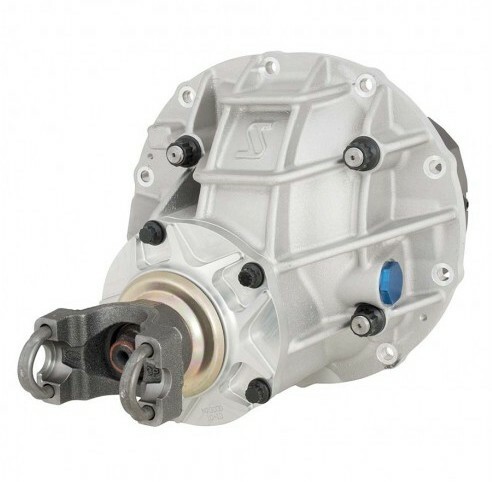 The Strange S-Series case is the answer for street and/or track vehicles making up to 600Hp. This newly designed radial ribbed Strange case provides an unsurpassed combination of strength and value. Exceptional grade Nodular Iron case and caps. Radial rib design for increased strength. Same adjuster nuts as the Pro-Iron case. Far superior to OEM units. 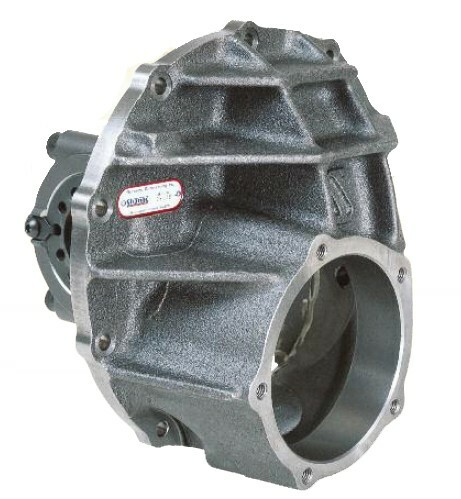 Shipped fully assembled with a iron posi-unit, Daytona iron pinion support, your choice of gear ratio and 1350 series steel yoke. 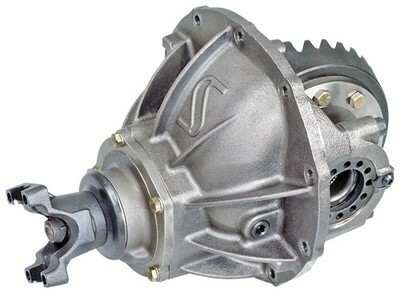 Optional items - upgrade to a Detroit Locker or Truetrac differential and upgrade to a chrome-moly yoke. Chrome-moly bearing caps retained by socket cap screws that exceed aircraft grade 8 specifications. The pinion pilot bearing has been reinforced with superior D-4512 nodular and additional material. All bolt holes are deep tapped and cast with additional material surrounding the O.D. of the holes. 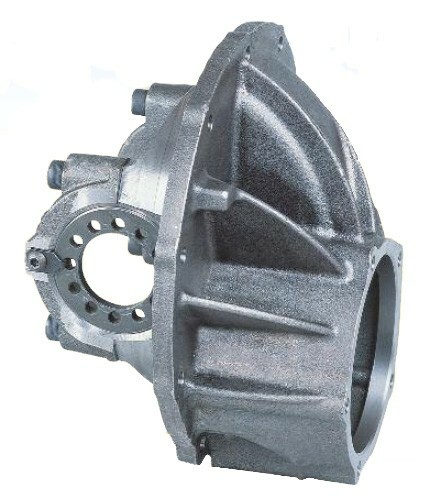 Bearing bores and reinforcing ribs are cast with additional material in critical areas. Ribs were carefully designed to further enhance rigidity. 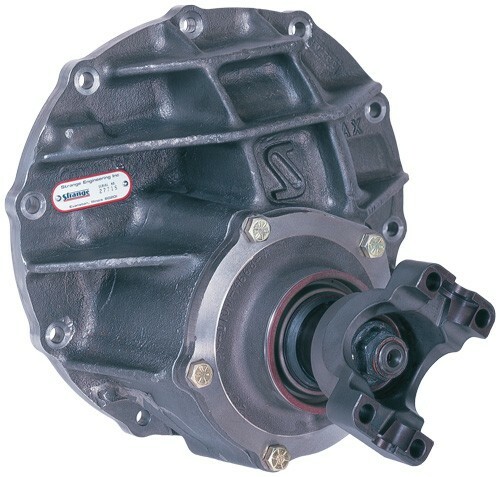 Shipped fully assembled with a iron posi-unit, Dayton Iron pinion support, your choice of gear ratio and 1350 series steel yoke. 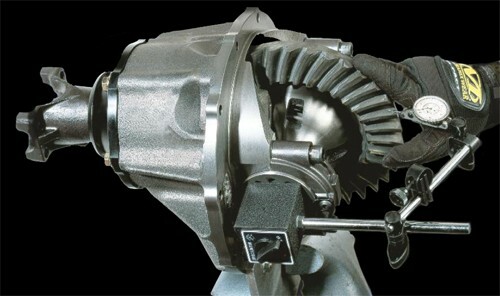 Optional items - upgrade to a Detroit Locker or Truetrac differential and upgrade to a chrome-moly yoke. Strange 9" Pro HD aluminum cases offer the same strength and durability as the Pro Iron case but weigh 15.5lbs less. This offers a significant weight savings without giving up any strength or durability. The Strange Pro HD aluminum case is designed for drag/road race and the most abusive high performance street applications. The case is crafted from superior 206-T4 heat treated aluminum which has a 32% higher tensile strength than 356-T6 aluminum. The billet aluminum support is held in with 7/16" ARP bolts and contains a unique oil channel to maximize oil flow to the pinion bearings for extended use. The robust billet caps and 9/16" thru bolt design compliment the case to significantly reduce gear deflection extending the gear life.